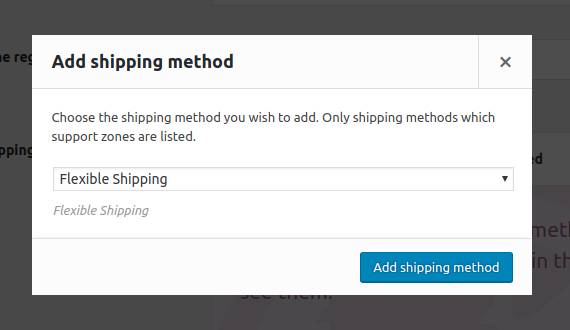 To add new UPS shipping method, go to WooCommerce → Settings → Shipping. 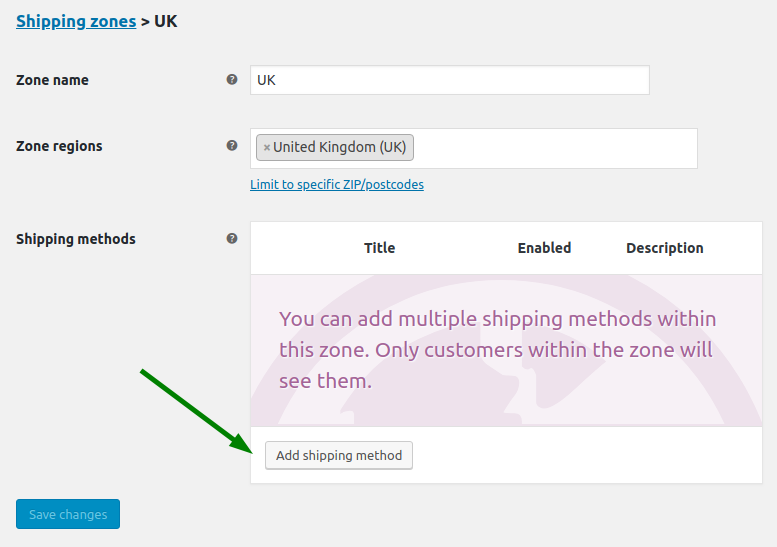 Then click the shipping zone, e.g. UK. 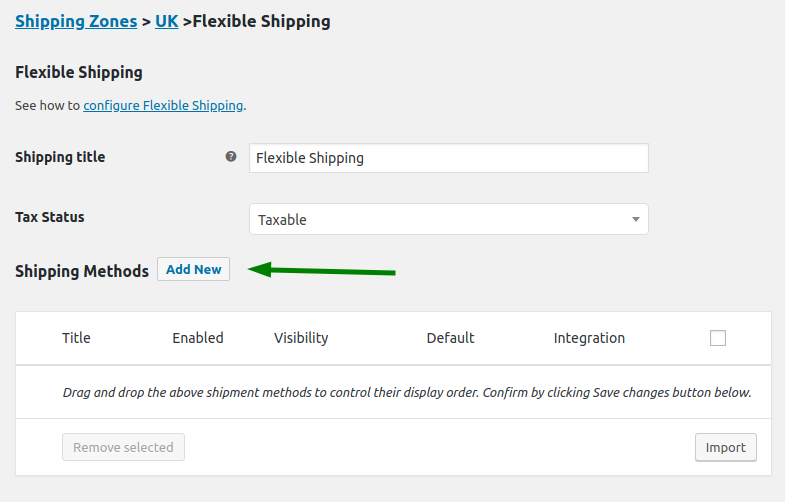 Once you add Flexible Shipping, you can click it. Do it to proceed. 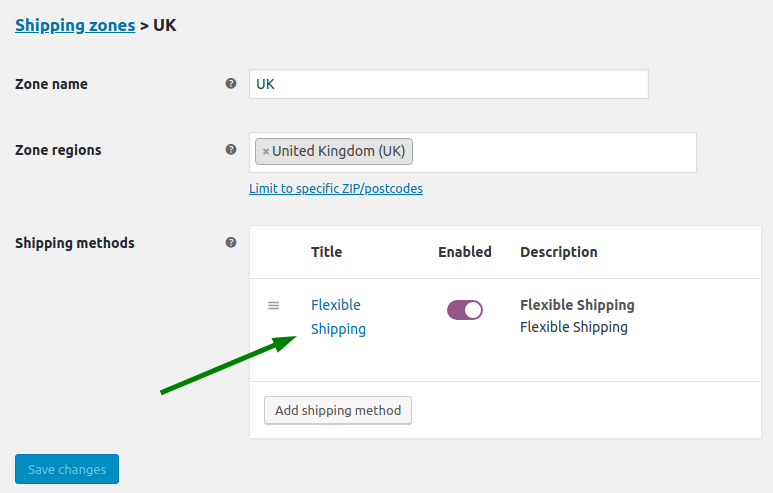 You can create any number of shipping methods inside the Flexible Shipping method. UPS provides a lot of services. You can create different shipping method for each UPS service. Also, you can just use live rates. This way you will need only one shipping method. Anyway, click Add new to proceed. Remember to select UPS in the Integration option. Negotiated rates - Enable this option if you want to offer your customers rates that include discounts from your UPS account. Residential address - UPS defines residential address as delivery to a home including a business run at home. Description - Provide the information about package's contents. Reference - You can provide any text that will be printed on a shipping label. Package type - The default one is custom. 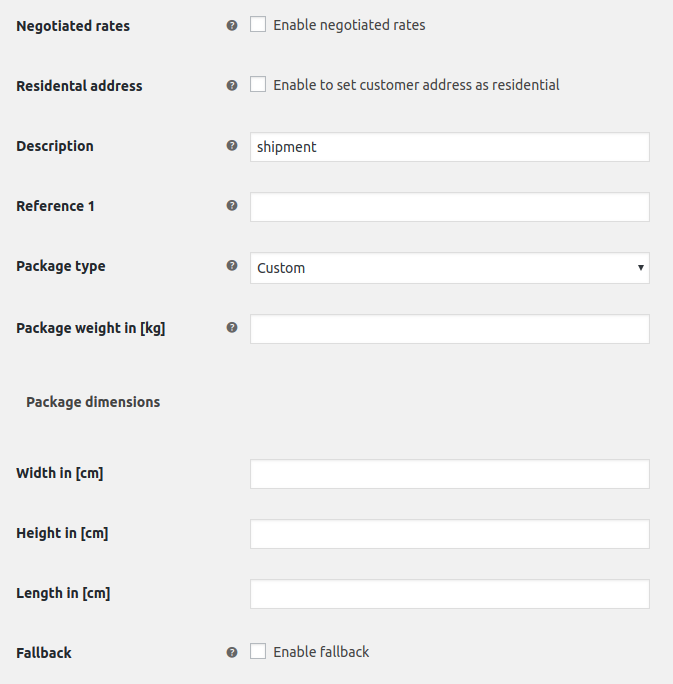 Package weight - You can provide the package weight. It is optional. By default, it is calculated from the order. FS Connect sums up the product's weight. Fallback - This option lets you provide an optional flat rate if at the moment UPS doesn't provide any shipping costs or services, e.g. API doesn't work. This is used only for Live rates.